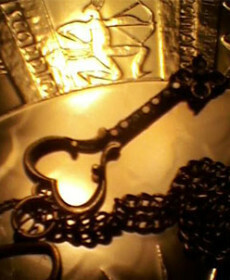 One Gold Key is a project of musical passion. It is our desire to take the music that we perform and transform it into something of greater value and meaning to the listener. Based in New Franklin, Ohio, One Gold Key was formed in 2008 on Long Island, New York. Both Electra Jacobs and Rob Buchta present music they want to share along with their many years of experience as performers & writers with you! To learn more about the band, go to www.1goldkey.com.